In the “Reports” category, you will find a button marked “Browse Metadata” which opens a new dialog box providing a complete overview of all metadata contained within the current document. 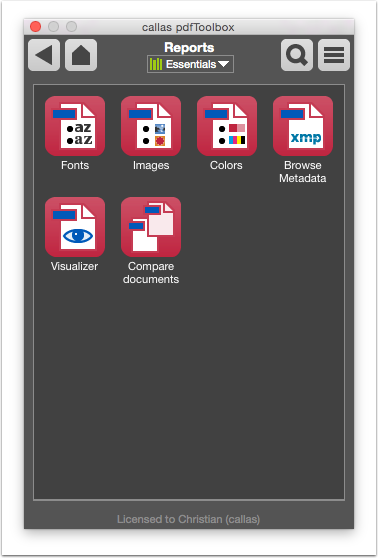 This can be opened either using the “Metadata...” menu item in the Acrobat “File” menu, or using the “Explore Metadata” menu item in the plugin or the standalone version of the software. 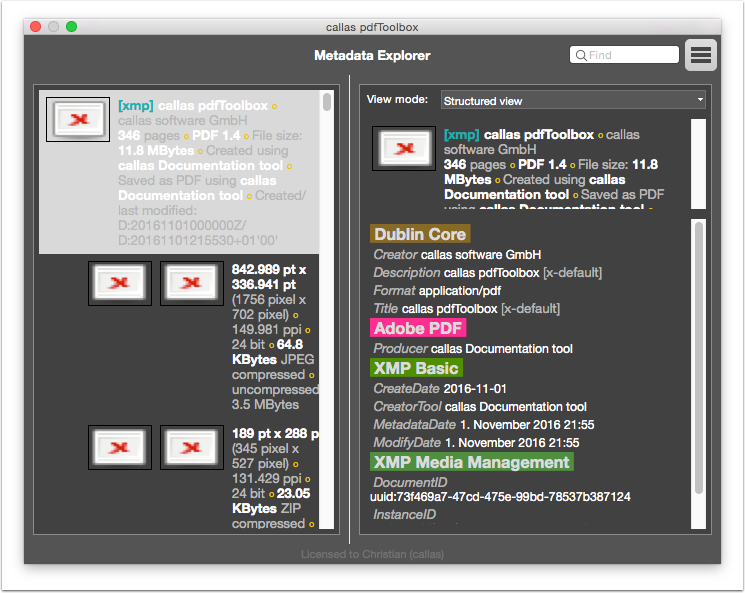 Metadata can be exported in the form of a configurable XML report. This function is available in the Options menu to the upper right.